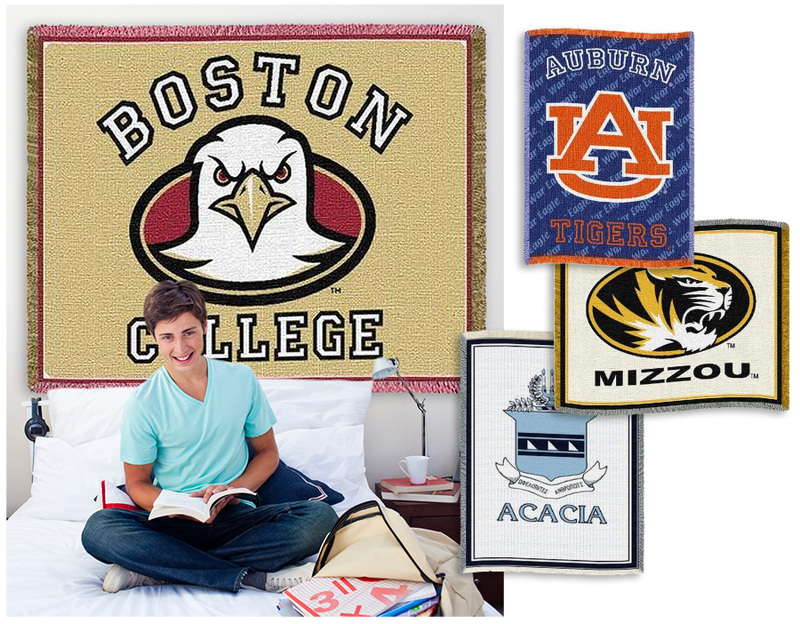 Woven stadium blankets featuring collegiate insignias make a great back-to-school present. These woven collegiate blankets are also available with fraternity and sorority letters. For that special student in your life, a officially licensed collegiate blanket is the ideal gift that will be well used and a great accent in their dorm room, sorority or fraternity house room or apartment. They can show their school pride with this super soft, 100% cotton stadium blanket. These are officially-licensed stadium blankets which use 3 layers of heavy-weight cotton fabric combined with high-quality designs directly woven in. It is fringed on all four sides and measures a generous 48″x69″. The blanket is machine washable and has been pre-washed. These blankets are produced by weavers using the latest computer based looms using the finest cotton from two world class dye houses located within a mile from the mill to create this heirloom quality product. All the blankets are made in America. For those in a fraternity or sorority looking for a great addition to their room, consider a quality officially licensed fraternity blanket or sorority blanket. 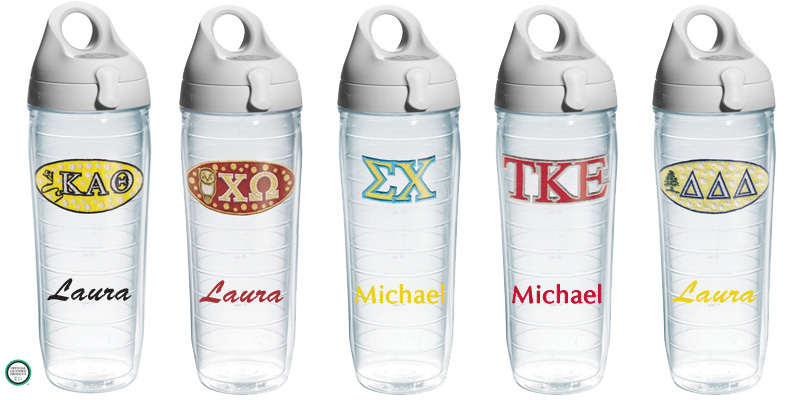 They will surely make a hit with your recipients. These are the type of presents that will be treasured and well used by the recipient for many years. Always appreciated, a stadium blanket will keep the user warm at football games, make an attractive wall hanging in their dorm room or apartment, and be the type of item they will really love to use. 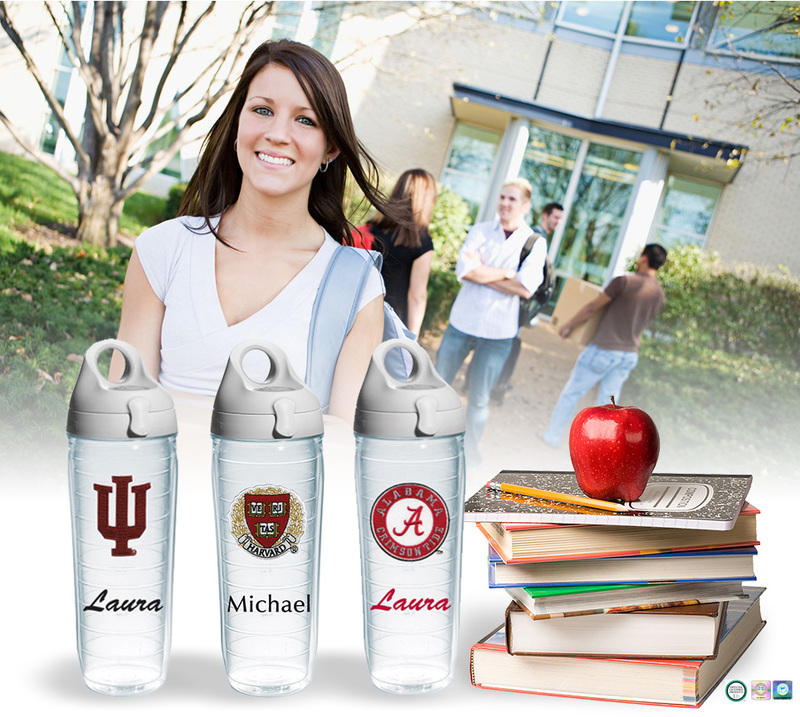 Help them have a great school year!